This entry was posted in Amazon, Kindle Books and tagged kindle gifts, kindle recommendations by matthew. Bookmark the permalink. I got a Kindle for my wife for Xmas and was looking for some good books to put onto the Kindle. Thankyou for the suggestions. 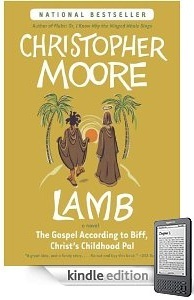 I am definitely going to buy Christopher Moore’s Lamb as one of my wifes favorite books at the moment is Christopher Moore’s A Dirty Job. Thankyou. Butcher is great! 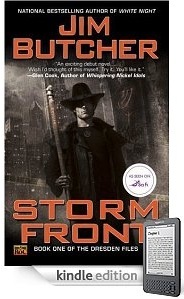 He wrote “Storm Front” while still in writing school, mostly as an exercise to show his teacher how something she was telling him to try just wouldn’t work out. I’ve read every book in the series, and in my opinion they keep getting better and better! They were even made into a one-season TV show by SyFy a few years ago. Both of these books can be found for much less in their paper forms. Great recommendations, lousy e-book pricing.